Shown $49.99Flowers are designed to be delivered as close to the arrangement pictured as possible. 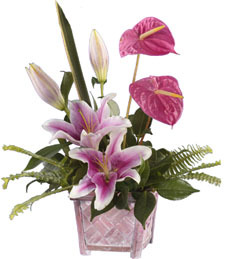 Deluxe $59.99We'll add additional flowers that will coordinate with the arrangement in both style and color. Treat that special someone to the subtle and fragrant beauty of this distinctive arrangement.